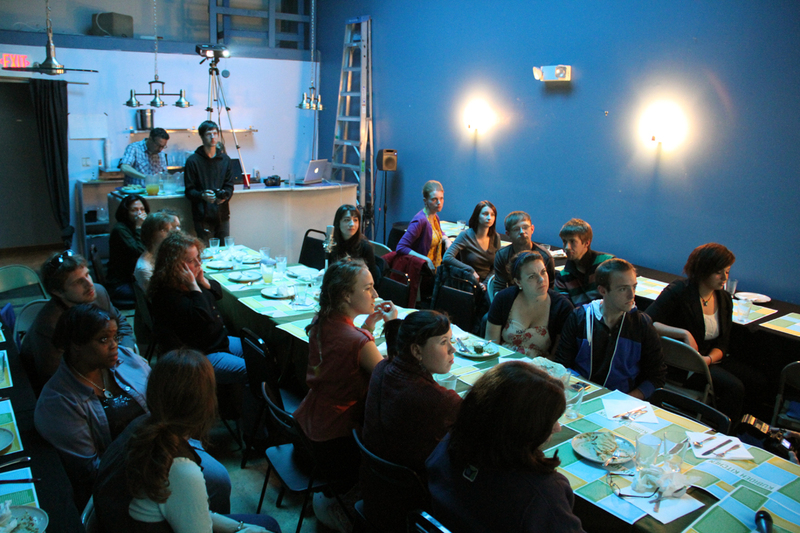 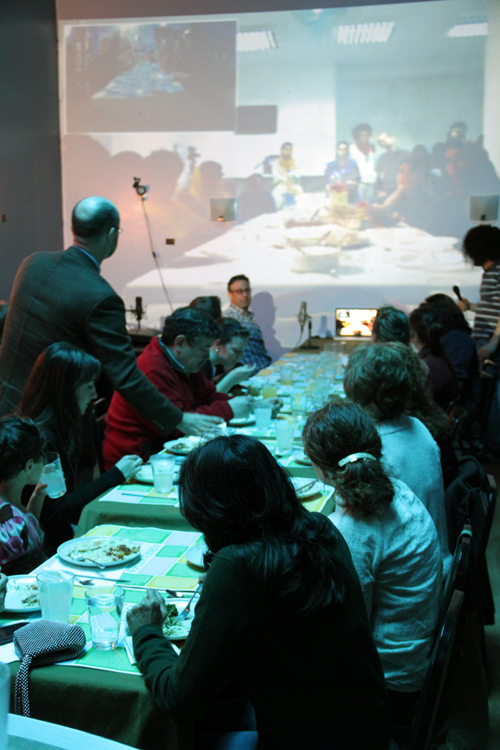 The Conflict Kitchen and Sazmanab Project held the second annual live city to city dinner party. 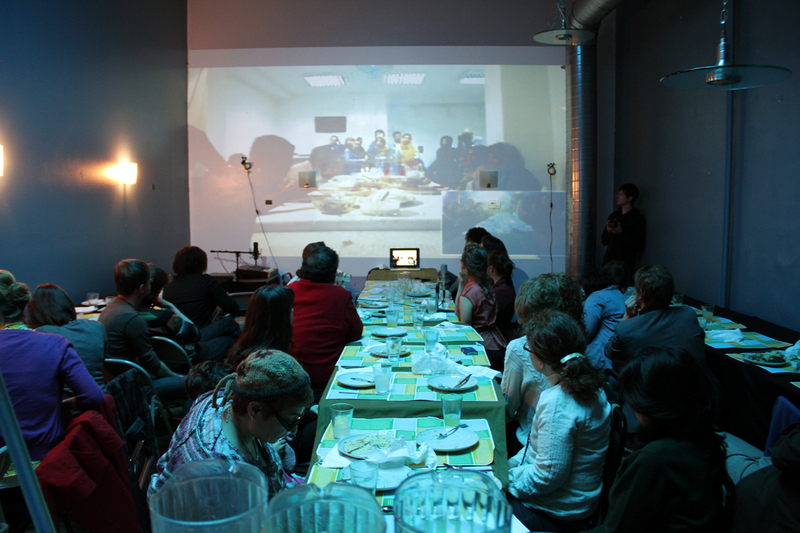 The meal, held simultaneously in Pittsburgh and Tehran, invited diners in both cities to sit around long tables that were joined via webcam to create an international dinner party. 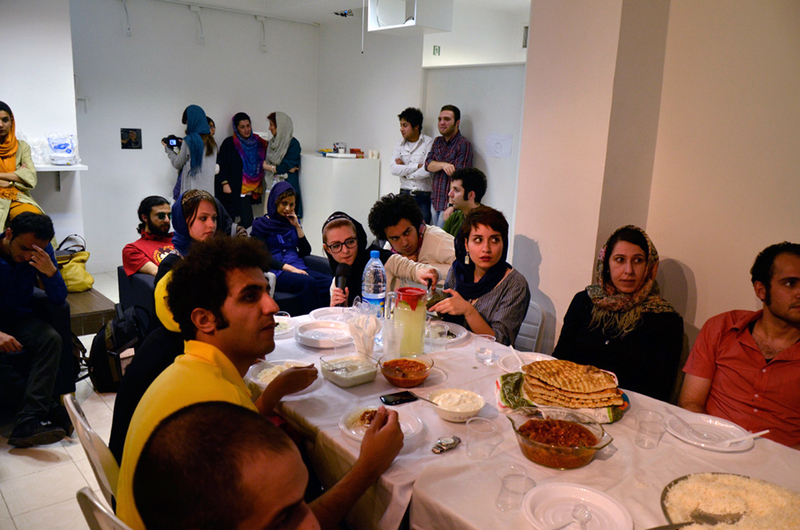 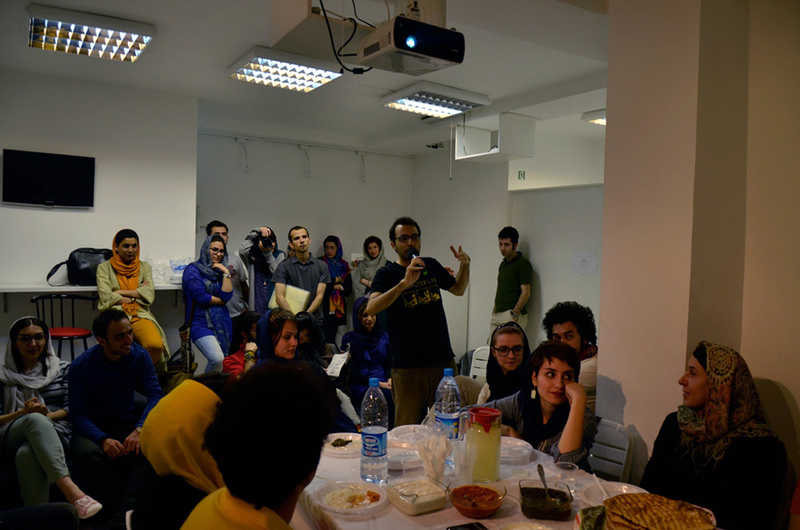 Each city prepared the same Persian recipes and shared food and conversation throughout the event.